If you have sold a defective product and refuse to refund the money if you are unhappy with the level of service, all of their claims you can reflect in the book of complaints and suggestions. 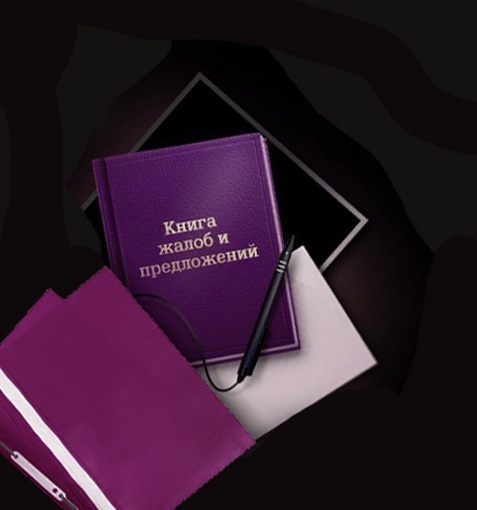 The law of the Russian Federation of 07.02.1992 "On protection of consumers' rights. If you are dissatisfied with the quality of the goods purchased, and the store refuses to return the money, if you angered low level of service? To punish the negligent vendors (chefs, waiters, administrators), you need to fill a book of complaints. Staff shopping and entertainment facilities is obliged on demand to provide you with a book of complaints and suggestions. Often unscrupulous sellers refuse to the buyer, saying that the previous book ended, a new one will be tomorrow. Do not believe them, ask to call the parent of the employee. Get your hands on a book of complaints, complete the available fields (date, number of statements) and describe the nature of the claim. Provide as much precise data (exact time of incident, number of cheque, name of the employee who served you, etc.). Describe without emotion, what specific action had been infringed. If there was to be abusive statements in your address, indicate their (profanity verbatim quoting is not necessary). Reply, provide your contact information. If there was a really egregious case, by perturbing not only you but others as well, then you can involve them in the drafting of complaintss as witnesses. They should also leave their comments in the complaintsbook Noah and specify your contact information. In this case, increase your chances of getting not only earned money but also compensation in the event of litigation. On the reverse side of your application, a blank response. It should be filled by the management of the institution, listing what had been done to satisfy your complaints. If during the week the administration are unable to understand the situation (the exception is complex complaintss that require examinations, tests, queries), and your complaintsand remained unanswered, do not hesitate to contact the society for the protection of the rights of consumers, and then, if necessary, in court.